The Department of Tribal Welfare is functioning under the overall guidance of the Hon’ble Minister Shri Aghore Debbarma and the Secretary, Shri L. H. Darlong. The Secretary is assisted by Shri Rabindra Reang, Director; Shri Tamal Majumdar, Joint Director; Shri Saswata Sen, Joint Director; Sri Santosh Das, Joint Director & DDO; Shri Sujit Patari, Asst. Engineer and Smt. Padma Debbarma, Accounts Officer. Monitoring and implementation of State Plan Schemes, Centrally Sponsored Schemes (CSS), North Eastern Council (NEC) Schemes, Additional Central Assistance (ACA) Schemes / Projects, SCA to TSP, Twenty Point Programme etc. 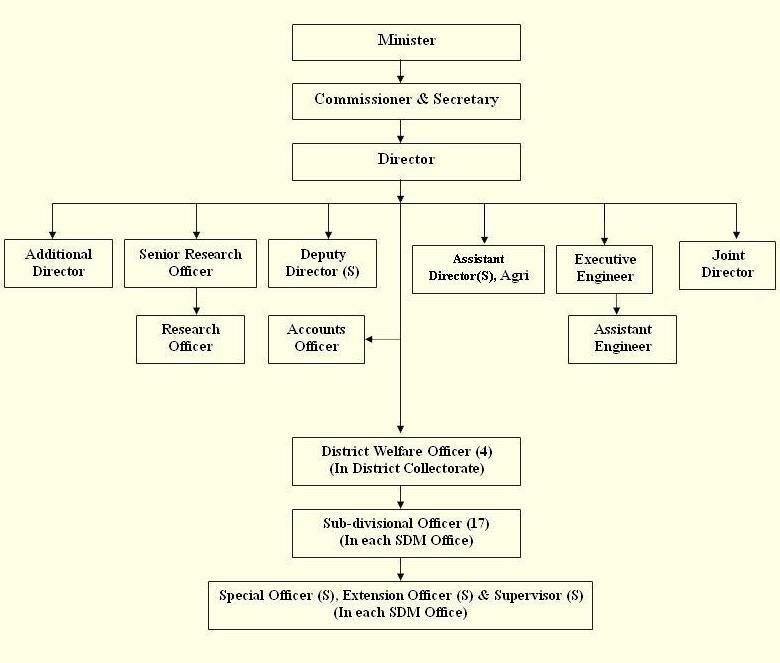 To ensure, the delivery mechanism, works in fulfilling people’s aspiration, District and Sub-divisional level Welfare Officers are made to function in association with the District Administration. The Welfare Officers are now attached to the offices of the District Magistrate & Collectors and Sub-divisional Magistrates. Therefore, the District Magistrate & Collectors and Sub-divisional Magistrates have become all but the Nodal Officers of the Department.